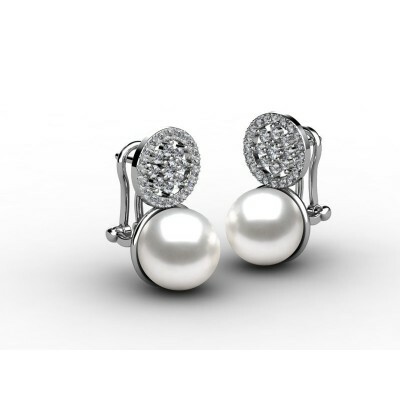 Diamond and pearls earrings, perfect to wear it every day and very easy to combine with another pieces of jewelry. The close is very safety and comfortable, it is an “omega” close. Gorgeous earrings with a touch of luxury. -Diameter of Australian Pearls is 9mm. If you prefer another size of the pearl, call us right now and our specialists will finde the best option for you. 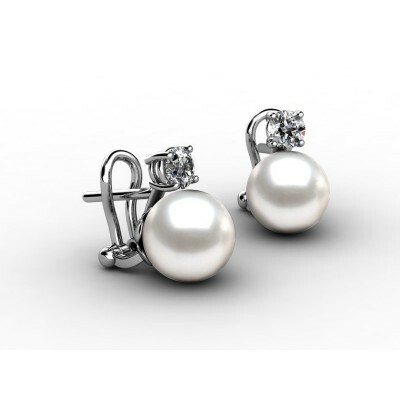 “You & Me” style earrings created with one diamond and one Australian pearl each. Simple and minimalist design makes this earrings easy to putfor any ocation. -Technical specifications: 18k white gold earrings. If you prefer anothe size of diamonds or pearls, please, contact us right now and our specialists will finde the best option for you.